Blackpool FC writer Matt Scrafton takes a look at the key talking points from the Seasiders' 3-0 defeat at Ewood Park. That was how Gary Bowyer described Blackpool’s 3-0 defeat at Blackburn Rovers on Saturday. You can certainly see his point, but I think it does his side a slight disservice. Yes, Blackburn have the extra quality. If that isn’t already clear by the 34-point difference between the two sides in the league table, it was certainly a point rammed home when Blackburn forward Adam Armstrong curled home a stunning effort from outside the box to double his side’s lead. Blackpool, meanwhile, wasted their one glaring opportunity on goal when Nathan Delfouneso couldn’t convert from a few yards out. But Blackpool were well in the game and can feel slightly hard done by in terms of the margin of Blackburn’s victory. The game was a lot closer than the score suggests and a three-goal margin certainly flattered Blackburn. But they’re top of the league and they’re there for a reason. They defended resolutely and, when you have the quality of Armstrong, Bradley Dack and Danny Graham in attack, all it takes is for one moment of class to make the difference. Unfortunately for Blackpool, they had three of them. Blackpool shouldn’t be too disheartened by the result. Yes, it’s never nice to lose by three goals. But those in attendance will tell you the Seasiders were well in the game and the scoreline was harsh on them. Play like that this month against the likes of MK Dons, Doncaster Rovers and Southend United, sides who are in and around them in the league table, and they should be fine. Blackpool did very little wrong and yet they were soundly beaten, which was more down to the clinical nature of Blackburn's goals rather than Blackpool's own deficiencies. Sometimes you just have to take your hats off to the opposition and yesterday was one of those occasions. Unlike previous defeats this season, there were no glaring defensive mistakes to complain of. It was just three well-taken goals from a side who are surely destined for an immediate return to the Championship that proved to be the difference between, on the face of it, two evenly matched sides in terms of the overall balance of play. But what Blackburn have is match winners at the top end of the pitch and they make the difference week in, week out. There were three major incidents that went against Blackpool on Saturday. With the score deadlocked at 0-0, Blackpool were denied a penalty when Rovers striker Danny Graham appeared to handle inside the box. It certainly hit his hand but whether it was intentional or not is another matter entirely. It’s one of those scenarios where, if you’re a Blackpool fan, you’re screaming for it to be given but – if the roles were reversed – it would appear slightly harsh. Curtis Tilt was then penalised for a soft free kick in first-half stoppage time when it appeared he was the player having his shirt pulled, not his opponent. Referee Lee Probert disagreed. That allowed Charlie Mulgrew the opportunity to swing in a superb set piece that was headed home by the dangerous Dack, literally seconds after the fourth official had signalled two minutes were to be added on. It was a moment that changed the course of the game. 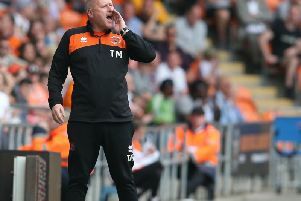 Up until then, Blackpool had been the better side, they were frustrating their promotion-chasing hosts and the Blackburn fans were beginning to become disgruntled. Tilt almost produced a grandstand finish when, at 2-0, his header was cleared off the goalline. The centre back claimed it had crossed the line only for Blackpool's appeals to once again fall on deaf ears. Would it have made a difference? Who knows. The pressure would have certainly been on the hosts to cling onto their lead and the wind would have been in Blackpool’s sails. But, either way, it turned out to be a moot point as Armstrong added a third on the break to wrap up the three points. The Seasiders might have to do without Kelvin Mellor for the forseeable future after the defender missed yesterday's game at Ewood Park with an ankle injury. While the extent of the injury is not yet known, Bowyer didn’t exactly seem confident when asked about it after the weekend’s fixture. The club will be assessing the injury on Monday and more answers should be known by then. Hopefully it's not as bad as it could be. Blackpool certainly missed his presence on their right-hand side of their midfield. While he’s naturally a right-back, he's been performing well higher up the field in recent weeks where he adds height and physicality that opposing full backs aren’t normally used to. He has a sheer presence which unsettles defences and his goalscoring exploits are well documented. Jay Spearing, meanwhile, was forced to be withdrawn in the second half having complained of feeling his hamstring was a little tight. Again, 5pm on a Saturday afternoon was far too early to ask about the extent of an injury that had only been picked up half an hour earlier. But I’d be surprised if he was fit enough to start in tomorrow’s game against Charlton Athletic. This result has gone now, it's happened and focus immediately turns to Blackpool's rearranged game against Charlton Athletic on Tuesday night. That is the first of three matches at Bloomfield Road this month, with Southend United and Doncaster Rovers up next with a trip to Milton Keynes sandwiched in between. The Seasiders' troubles on home turf are well documented. No win in ten attempts, a run that stretches back to their 2-1 victory over Bury on October 17. That's five months without a win on home turf and that simply isn't good enough. The longer the run goes on the more attention it will receive. It needs to be nipped in the bud as soon as possible and there's no better place to do that against the Addicks in midweek. 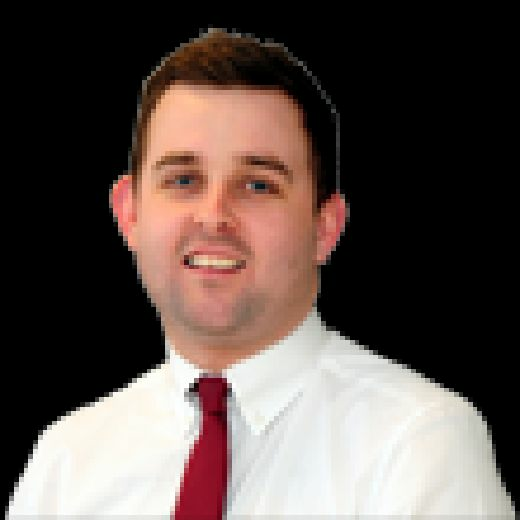 Charlton are still in with a shout of reaching the League One play-offs under the guidance of Karl Robinson, but they will be toiling from a poor 4-1 defeat at Peterborough United on Saturday. They'll be looking for an immediate reaction to such a heavy defeat, or they could be a wounded animal low on confidence. Let's hope it's the latter.